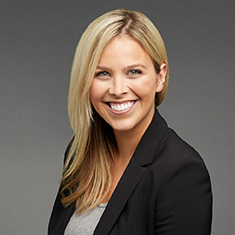 Britt DeVaney concentrates her practices in litigation matters. While attending law school, Britt was the executive editor, Research & Marketing of the Loyola University Chicago Law Journal; a legal academic tutor; and a member of her school's Moot Court program. Britt also performs pro bono work through Katten's partnership with the Jose de Diego Community Academy, a Chicago public school. Shown below is a selection of Britt’s engagements.